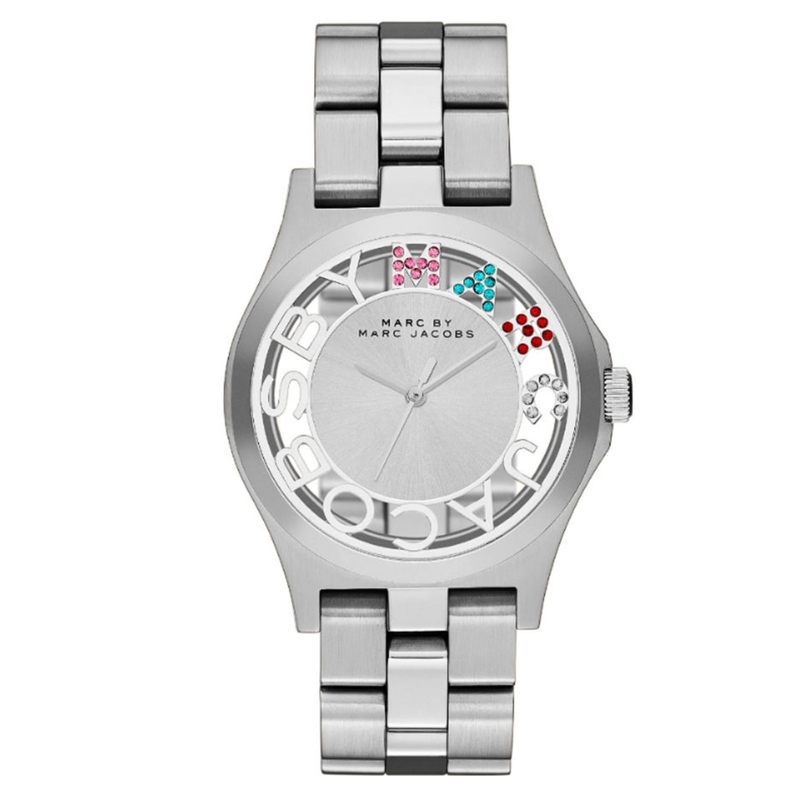 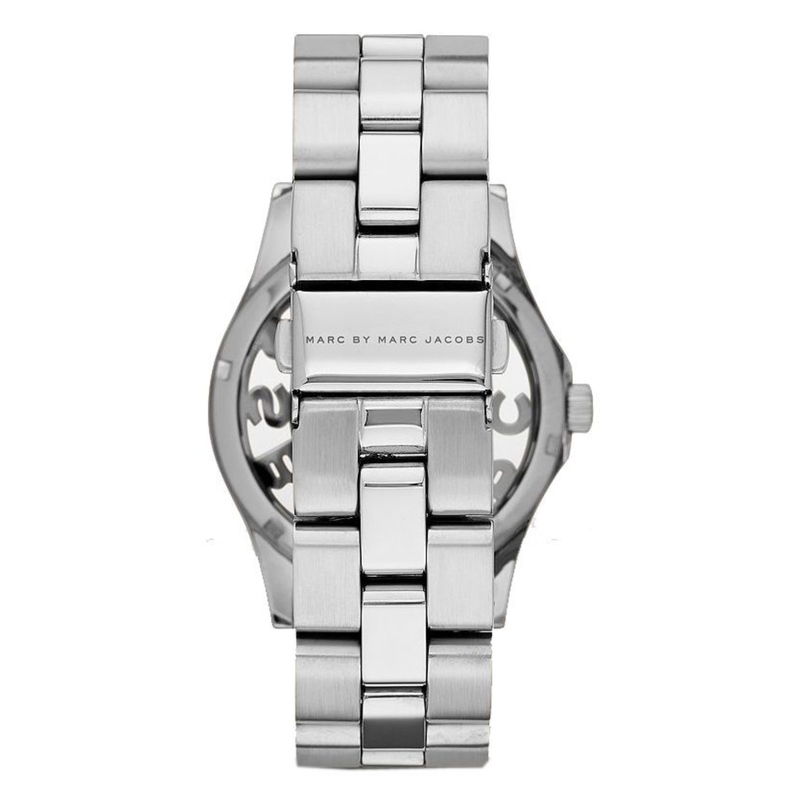 Marc Jacobs Henry Skeleton MBM3262 is an incredibly eye-catching Ladies watch . 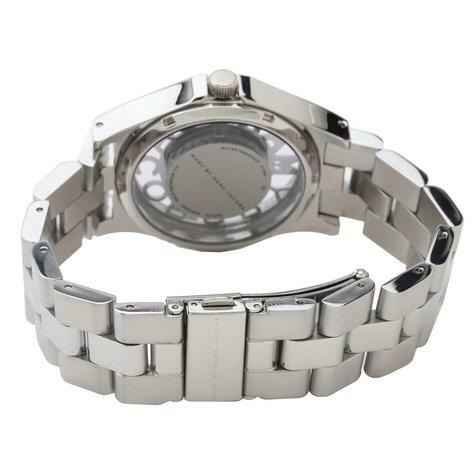 Case material is Stainless Steel and the Silver dial gives the watch that unique look. This model has got 50 metres water resistancy - it can be submerged in water for periods, so can be used for swimming and fishing. 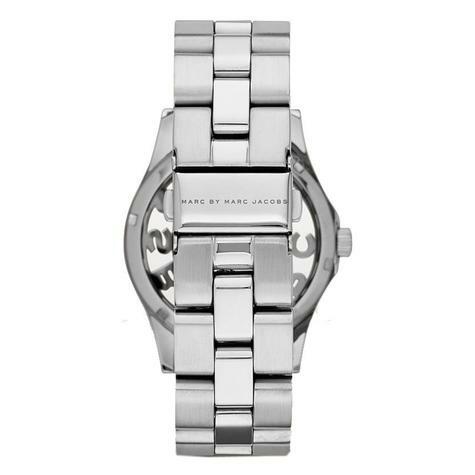 It is not reccomended for high impact water sports. The watch is shipped with an original box and a guarantee from the manufacturer.